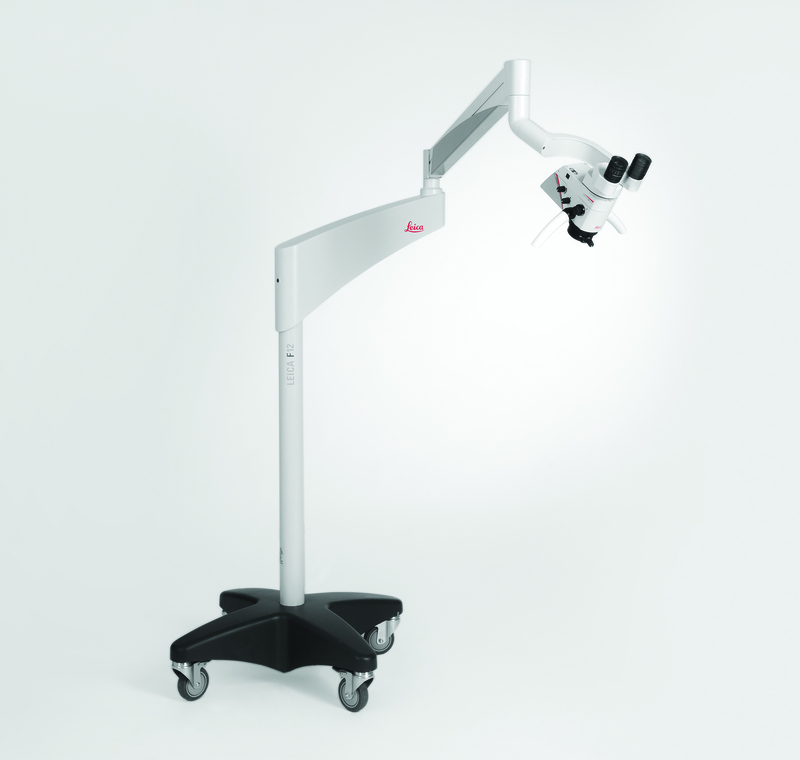 Leica Microsystems' office and clinic ENT (Ear, Nose, Throat) surgical microscope Leica M320 F12 is now available with a new multifocal objective lens and a fully integrated high-definition (HD) 1080p camera. The Leica M320 MultiFoc objective lens allows users to adjust working distance between 200mm and 300mm without manoeuvering the microscope or changing their working position, which further simplifies procedures. The HD camera enables surgeons to capture video, transfer data directly to patients' records, and easily discuss cases with patients, colleagues, or residents. During procedures, the Leica M320 MultiFoc objective gives doctors a clear, true-to-life colour view through apochromatically corrected optics with dual-LED illumination. Focal length can be adjusted with a simple turn of the adjustment knob, allowing doctors to keep an ergonomic position while the image remains perfectly in focus. "This gives surgeons the ability to easily change the area of focus without interrupting workflow or changing posture," says Rosalie Villano, Medical Market Development Manager for Leica Microsystems' Medical Divison. "We know that surgeons feel pain at the end of a day of surgery. The issue of proper ergonomics in surgical microscopy is more important than ever. The new objective is yet another enhancement of the ergonomically designed Leica M320 F12." With the integrated Full HD 1080p camera, ENT surgeons will gain greater efficiency and convenience at the point of care. The camera contains easy-to-use image capture and recording functionalities and records images and video to a SD card within the camera. Live video can also be streamed to an external monitor, and image or video files can be transferred directly to a patient's record via USB cable or the SD card. "Doctors can easily document and share images with colleagues to discuss a case," says Ohm Savanayana, Director Microsurgery and Dental for Leica Microsystems' Medical Divison. “For small surgical procedures, images and video help document and communicate to the entire surgical team as well as patients and their families."